A great amount of beverage producers, mainly distilleries, are opening up replicas of their original spots in airports. 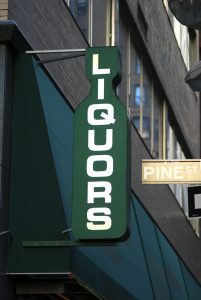 The idea started in Portland International Airport with the Westward Whiskey Tasting Room, following with Salt Lake City and Pittsburgh International Airport. Cleveland Hopkins International Airport, where Ohio’s Great Lakes Brewing Company followed and opened up a spot. Another was Harpoon, which built a taproom at Boston Logan International and Stone Brewing in San Diego’s airport. The largest of the trend was in Washington’s Walla Walla Regional Airport, which contained 19 wineries, three breweries, and two distilleries, all on airport grounds. This is creating a great space to kill time during a layover, an ideal way to start or end a trip, and a taste of the local scene.